They were found in "brooding" positions, with their arms inverted as they covered their eggs, which they cemented to rocks approximately 10,000 feet below the ocean surface. It was the first time scientists had found this type of cluster on the West Coast, and only the second time they have ever been observed. The previous sighting was a much smaller cluster near Costa Rica. 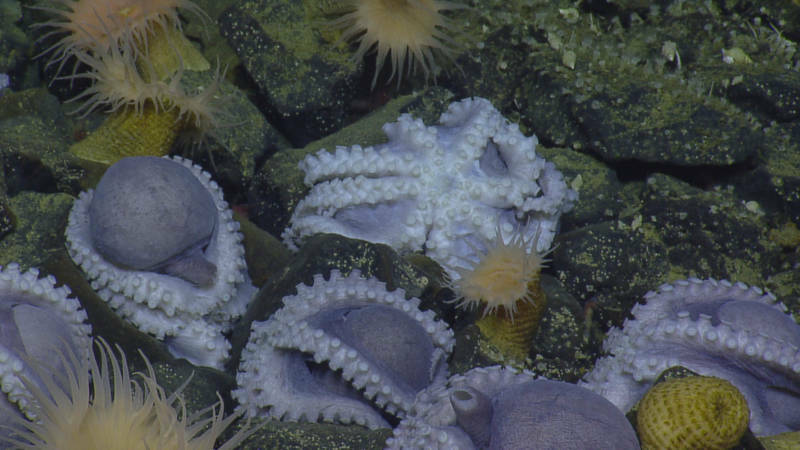 "This has never been discovered on the West Coast of the U.S., never in our sanctuary and never in the world with these numbers," said Chad King, a lead scientist on the Nautilus exploration vessel. He said the Nautilus, a 211-foot research boat with a team from the National Oceanic and Atmospheric Administration and the nonprofit Ocean Exploration Trust, initially set out to explore coral and sponge fields. “I’ve never in my career come across something like this, where these could potentially be nursery habitats, and another extremely important reason why we need to protect this area,” King said. 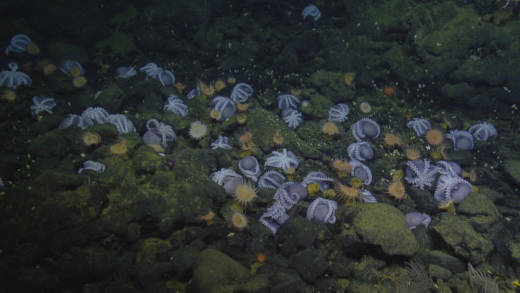 The Davidson Seamount was added to the Monterey Bay National Marine Sanctuary in 2008, but King said many deep-sea habitats like this still need protection. There are several possible reasons why the octopuses might have chosen this area for brooding. King said it could be the warmer water, the higher oxygen content, a specific mineral in the water or the fact that they were gathered in fluid seeps, which are warmer pockets of seawater. “It’s quite possible they’re just using those areas because they have the cleanest rock,” he said. The species was identified as Muusoctopus robustus, a small deep-water ocotpus lacking an ink sac. King said they can't revisit the site right away because of a technical problem with their vehicle. 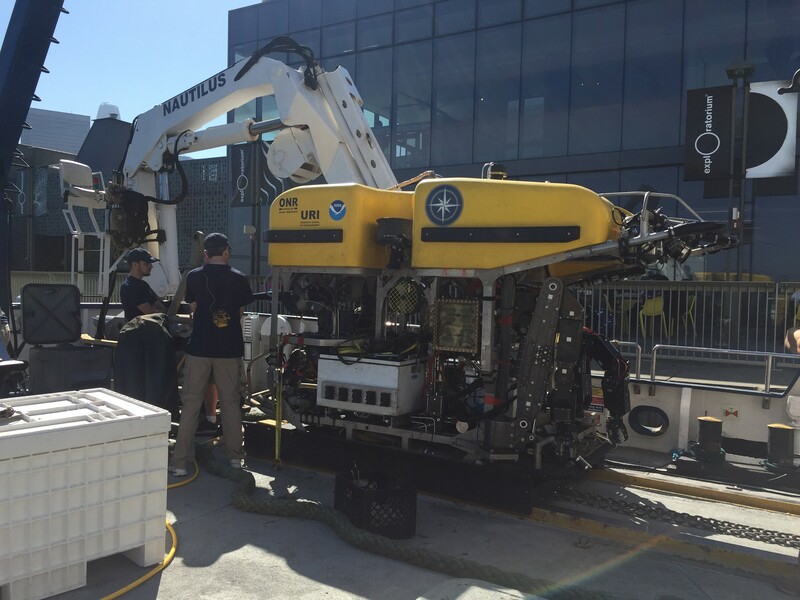 The Monterey Bay Aquarium Research Institute regularly conducts deep-sea research, but King said the last time they were in the Davidson Seamount area was 12 years ago. “We really don't know much about the deep sea — we’ve seen less than 1 percent of the world’s deep ocean bottoms. On any particular dive you could be shocked by something,” he said. He hopes the discovery will lead to more funding for research to go back and understand whether the site is actually a nursery. “If it is, that’s important because it will sustain their population,” he said.